Есть вопрос для Grace Boutique House? Посещая Чиангмай, вы почувствуете себя как дома в Grace Boutique House, который предлагает качественное проживание и отличный сервис. Отсюда, гости могут всецело ощутить преимущество удачного расположения и близости ко всему, что может предложить оживленный город своим туристам. Для тех из вас, кто не хочет проводить все свое время сидя в номере, Sangchan, Wat Phakhao Temple, Kad Klang Wiang лишь некоторые из достопримечательностей, доступных для туристов. Grace Boutique House предлагает безупречное обслуживание и все необходимые удобства для хорошего отдыха. Отель предлагает доступ к широкому спектру услуг, в том числе бесплатный Wi-Fi в номерах, регистрация 24/7, Wi-Fi на территории, аренда автомобилей, экскурсии. Кроме того, номера оснащены различными удобствами, такими как вешалка для одежды, полотенца, кондиционер, услуга будильник, телефон, чтобы удовлетворить даже самых взыскательных гостей. Помимо широкого выбора услуг для отдыха, предлагаемых в отеле, у вас останется много возможностей развлечься не выходя из отеля. Превосходные услуги и удобнейшее расположение делают Grace Boutique House идеальным местом для для проживания в Чиангмай. Заявленный бассейн не был доступен. То ли его ремонтировали, то ли реконструировали. Рядом с отелем строили еще корпус, поэтому дорога к отелю была перерыта. Приходилось прыгать по свежевскопанной земле между экскалаторами. В отеле не предусмотрели никаких обходных путей.Комната для хранения вещей не закрывалась. Отправляясь в джунгли я не знала, найду ли чемодан на месте. Второй бы раз в отель не заселилась бы. Хороший, тихий отельчик. После экскурсий приятно окунуться в бассейн. Правда за 4 дня пребывания номер ни разу не убирали. Grace boutique house is in a great location right in the centre of the Old Town. We were in walking distance of restaurants, bars and the various night markets. The highlight for us was definitely the pool. It is actually in the hotel next door, but they're so close to each other this doesn't matter. It was really clean and well kept and there were towels offered by the pool for you to use. We enjoyed it so much we actually came back again a few days later just for a couple of rest days! Would recommend. The staff were all very helpful and friendly! The place was clean and well kept. The room was very basic, but perfect to crash in. Rooms were cleaned daily and water was always restocked! The beds were VERY firm, so if you don’t mind a solid bed, this is a great deal! -the entrance is tricky to find- there are two hotels operating under one business, so look closely for the sign! We had a amazing stay , very close to all Attraktionen , clean room, very nice and friendly staff ! The Pool was Great After a Long day :). Direkt in The Front of The Hotel you can Rent a Scooter and have a lot nice Restaurants ! We will come back ! This aging building is attached to a much nicer hotel with a courtyard in between that serves as a bar. The pool is tiny and shaded. The moldy smell in the older building and my room was strong. I started coughing a lot and moved to another hotel. Staff were all awesome and if you dont mind mold go for it. Very good welcoming at check in time. 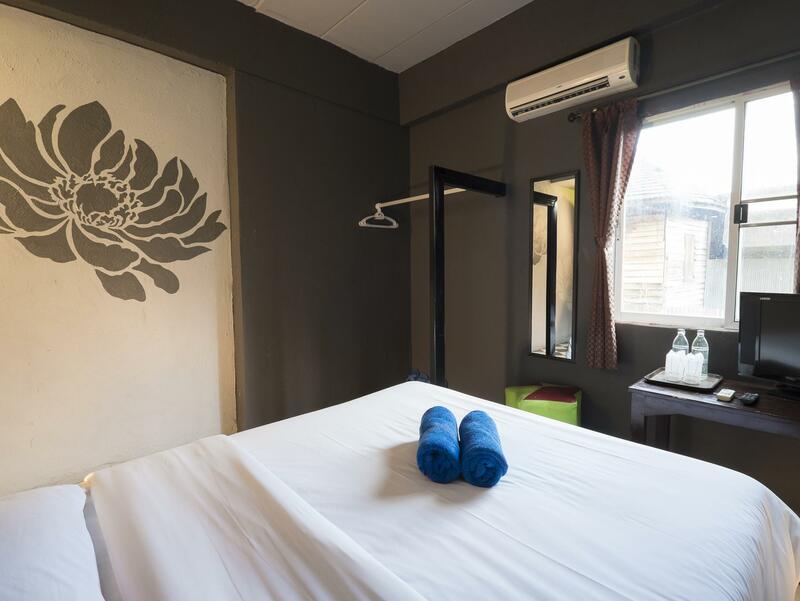 We are stayed at grace boutique guest house very clean and really comfortable. Rattiporn ( front desk ) and Sombut ( bar tender) very helpful both of you. Owner, you have to very proud of them! ! 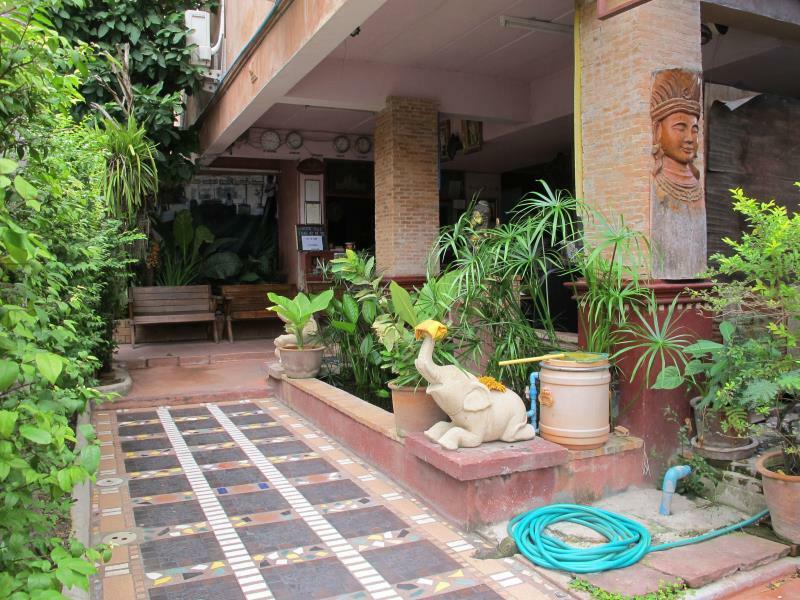 Really good location, can go everywhere in old Chiang Mai by walk! Amazing pool! Just beside the sunday market! Cons: It was raining for 45minutes, our room was next to the exterior wall and some water was getting in behind the coat hook. I found about the loud music that some review's are referring to.. there are some like outdoor-clubs around the corner. so you can hear some music, let's say the bass & beats of it BUT it ends at midnight. so if you don't care about that I can definitely recommend that place. nice, clean, good location, very very friendly and helpful staff. loved it a lot! Well kept, shares a beautiful pool and bar area with the fancy hotel next door. Room was a bit outdated and a little untidy given the price, but made up for by the pool facilities and extremely friendly staff. Loved the location. In old city and easy access to cheap temple Thai massages. We paid 24 dollars a day and for 60 you can stay at it's neiphbor fancy site Thapae Loft, which is owned by the same person. You can still use facilities ( pool) and bar if Thapae Loft. Worth paying 1 third the cost, if you don't care where you sleep. We found that the hotel location is a bit tricky to find as it was not on alley#4 but the entrance was from the other alley instead which was not stated in the hotel location description at all. One more concern is the mat in front of the loo is very slippery, they should warn the customers to be well aware of slippery surface. The location and room were quite alright; I could have done with less housekeeping in exchange for a lower price. 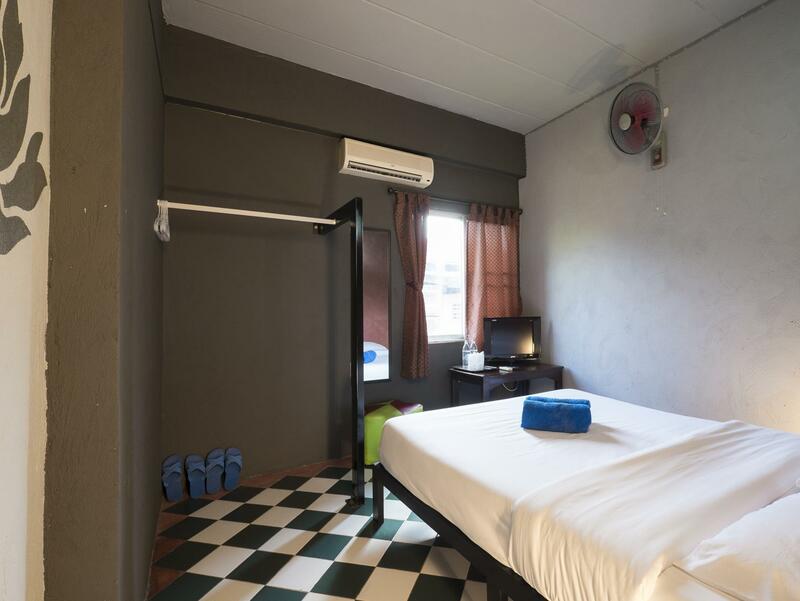 When I go back to Chiang Mai I'll stay somewhere for less than half the price, and will get a more homey environment for a solo traveller like me. Considering that in the end we stayed only one night we are really happy with the hotel. It is quite central, close to rachademnoen rd and thapae gate and relatively inexpensive. The room was small and decent but it was also very cheap and compared to another guesthouse we tried for the same price (Lanna guesthouse). The only bad we can say: matrace was hard like a wooden board. No pool but just in front there is the thapae loft and that pool we could also use and it was new and modern. Inbetween they have a vw-bus bar which was quite nice to chill out for a small while. For cheap travelling with no need for much comfort we would recommend the place. the receptionists there are nice,but when we stay there for there days,the firstday is OK,the second day no one help to clean the room, throw the trash out,and the last day,the light in the toilet was broken,no one fixed that even though i told to the receptionist,so we just hold the cellphone flashflight to take a shower. Location to Sunday Market was good. The online pictures were VERY outdated & misleading! There was no one manning the open air check in. Girls from the neighboring hotel, The Loft, checked us in. The first room was ceiling fan only. We opened the window for air only to discover the window was just above the collected garbage! The bath rug was filthy and should be burned. The bed hard as a rock. We booked two rooms for our group. We checked in & paid, but took our luggage and went to another place!! Cannot recommend this place. Nothing 'boutique' about it. Flop house quality. The location was everything....The Bed was very hard and I think it was actually a box spring. The other issue I have is that they play loud music until late and have their bar outside with a lot of drunks. Otherwise, the place was a good price and I kept busy and slept well.